SURREY, BC – Following on an initial announcement last month, Central City Brewers + Distillers has revealed further details for this year’s edition of the Red Racer Across The Nation Collaboration mixed pack. As with last year’s inaugural edition, the package will feature a dozen beers, each brewed at Central City with a guest brewery from a different province or territory. In addition, there will be tasting events for the package taking place at several participating breweries across the country. 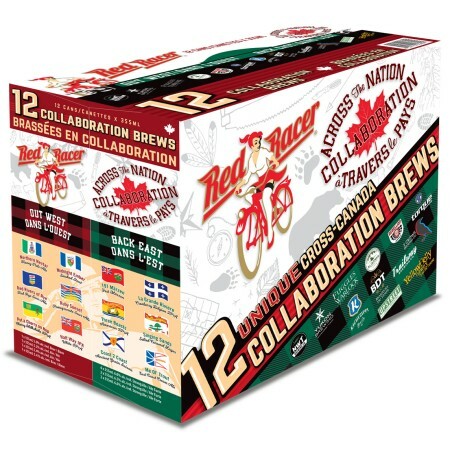 Due to be released in early May, the Red Racer Across The Nation Collaboration package will be available and beer and liquor retailers in most provinces as a single 12-pack, and split into East and West 6-packs in Ontario. For more details, see the full release announcement.